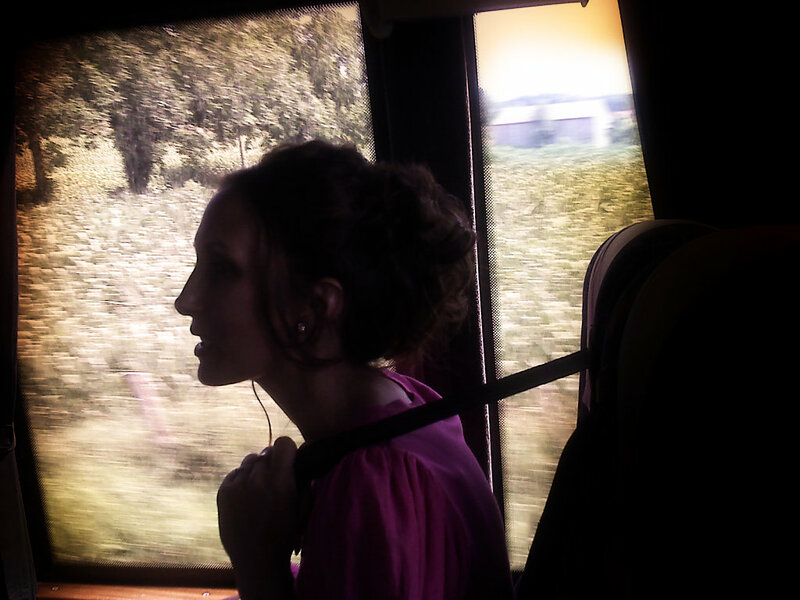 I was daydreaming, spellbound by the beautiful woman sitting across the aisle in the bus. So naturally refined, she seemed oblivious to her own grace. I couldn't take my eyes off her. I had to talk to her. I had to tell her there was a time when she didn't know me. She wasn't aware of my very existence. Of course, she couldn't think of me. She was dealing with her own reality, her life, day in and day out. She didn't need me...Yet she needed me as much as I needed her. Elsewhere in the world, I was looking for her. I was hoping for her, fervently. One evening in Paris, I opened a door and there she was, a stranger with the face of an angel. I felt as if she had bitten my heart. Now, I know what you're thinking. You're thinking you recognize her. You're thinking you know her, right?…No, you don't. You don't know her. You never knew her. You never will.